“Now the Lord spoke to Moses, saying, “Speak to the children of Israel, saying: ‘If a person sins unintentionally against any of the commandments of the Lord in anything which ought not to be done, and does any of them, if the anointed priest sins, bringing guilt on the people, then let him offer to the Lord for his sin which he has sinned a young bull without blemish as a sin offering. He shall bring the bull to the door of the tabernacle of meeting before the Lord, lay his hand on the bull’s head, and kill the bull before the Lord. The priest shall dip his finger in the blood and sprinkle some of the blood seven times before the Lord, in front of the veil of the sanctuary. And the priest shall put some of the blood on the horns of the altar of sweet incense before the Lord, which is in the tabernacle of meeting; and he shall pour the remaining blood of the bull at the base of the altar of the burnt offering, which is at the door of the tabernacle of meeting. Next let’s explore the sin offerng. These last two offerings are a new subject in God’s mind because it says, “Now the LORD spoke to Moses, saying…” indicating a new category. This phrase doesn’t appear at the beginning of chapters 2 & 3. In the order of His book, God place the sin offering 4th, further away from Him so to speak, than the Burnt Offering. You see, He doesn’t want to see or be reminded of our sins; He wants to see us in the beauties, glories, and excellencies of His Son. Unlike the Burnt Offering, Grain, and Peace Offerings, the Sin and Tresspass offerings are not a sweet-smelling aroma. Both are shadows of Jesus on the cross when He carried our sins. God is so kind and compassionate. He said, “If a person sins unintentionally against any of the commandments of the Lord in anything which ought not to be done, and does any of them…” Since all sin is actually intentional, we must look at the Hebrew word itself for clarity. “But what about Hebrews 10,” you ask? Good question. Can believers commit a sin from which they cannot be redeemed? No, no, no! Throughout all Paul’s letters to the Church, he never EVER mentioned a sin that was unpardonable. Not once! If such a sin existed, he certainly should have said something, shouldn’t he? It would be wrong of him not to. I suggest to you that if you’ve been taught that believers can commit a sin that is unpardonable, there is a very good chance that teacher or preacher has misunderstood the word of God. The book of Hebrews, interpreted IN CONTEXT, was written to JEWISH BELIEVERS and addressed issues that affected them while there was still a Temple and sacrifices taking place. The sin offering (Jesus) covers all offenses, intentional and unintentional sins! 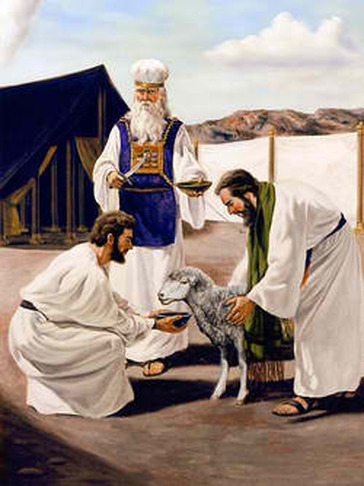 The ancient Israelites had to offer sacrifices repeatedly. Their priests never sat down because their work was never done. Not so today! Our perfect sacrifice, Jesus, when He had offered one sacrifice for sins FOREVER, SAT DOWN. He finished the work. HALLELUJAH! #4) An individual member of the congregation. A person’s position determined the valuation of the offense plus the type and gender of animal that must be offered, whether anointed priest, the whole congregation, a leader, or an individual Israelite. The greater the position or influence, the greater the valuation of the of the sin and the more costly the offering required. Remember, these are all types and shadows. It shows to us that In God’s eyes, there are degrees of sin. The most costly offering, of course, was the largest animal: The bullock. Sheep and goats were less expensive, and doves even less and a handful of flour the least costly of all. Female animals were the least expensive in their economy. The anointed priest offered a bullock without spot. 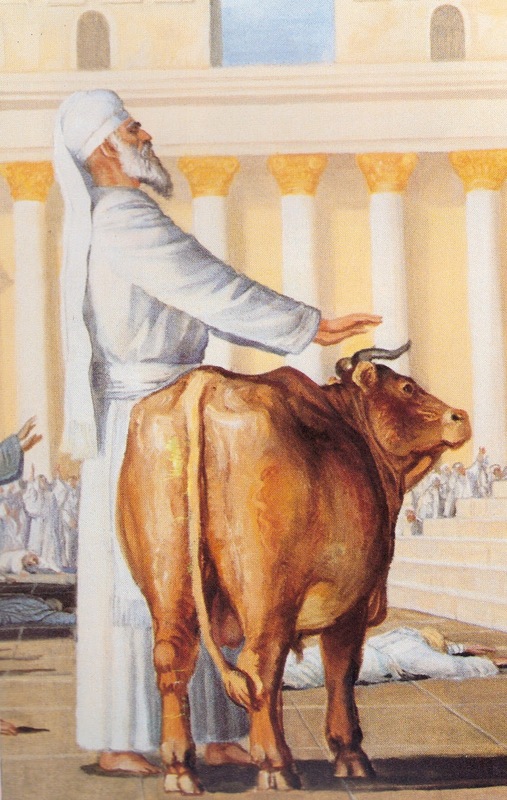 The LORD said he must “bring the bull to the door of the tabernacle of meeting before the Lord, lay his hand on the bull’s head, and kill the bull before the Lord. Nothing in scripture is recorded there arbitrarily. Every word, every number, is quite intentional and lends to deeper understanding of the text. Seven is the number of perfection or completeness in the Bible. His sprinkling of the blood seven times gives him perfect standing before God. He must also put blood onthe horns of the altar of incense and pour the remaining blood at the base of the altar. Horns speak of authority. There were 4 horns on the corners of the altar just as Jesus’ cross had 4 corners. This signifies that Jesus’ sacrifice on the cross is effective for North, South, East and West of the whole world. Beautiful Pictures Of Jesus In The Fat, Kidney And Liver. Sound familiar? It should if you have been following along this series. All the fat, which is the best part, depicts all of Jesus’ perfections. They were burnt on the altar as God’s portion. Please refer back to the Burnt offering part (7) for the whole story. Difference The Burnt Offering And The Sin Offering. In the case of the Burnt Offering where the entrails, head and legs were washed, there is no mention of “offal,” which is the animal’s dung. Dung depicts our sins. In the sin offering, the hide, legs, entrails and offal were taken outside the camp and burned until it became ashes. Jesus died OUTSIDE the walls of Jerusalem. 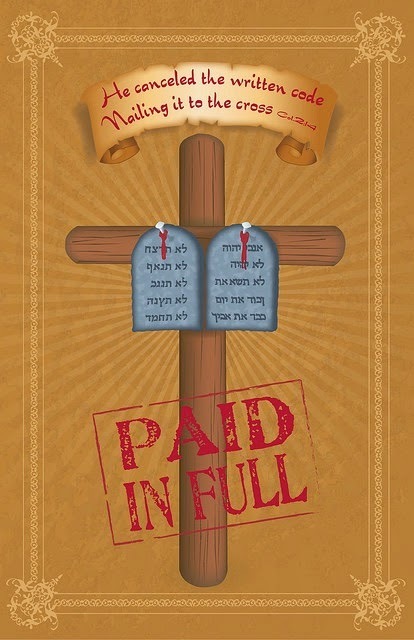 He carried our sins which were COMPLETELY burned up until they were ALL GONE in the fires of God’s judgment! That is why Paul could state with absolute certainty that “There is therefore NOW NO CONDEMNATION for those who are in Christ Jesus!” HALLELUJAH!!! If the congregation as a whole sinned against God, the sin offering also must be a bullock. That is how serious it is to be a leader of God’s people to Him. Pastors take note: The valuation of one priest’s offense is equal to that of the whole congregation. The procedure for offering the bullock is the same as described above for the priest. This leader was someone who was not a member of the priesthood, such as a tribal leader or a ranking officer in the army. The blood, once again, was put on the horns of the altar of burnt offerings. All the other procedures remained the same. 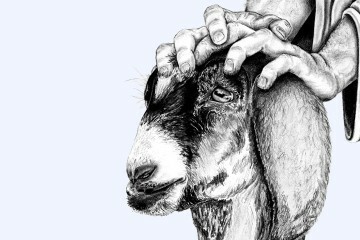 If the person could not afford a goat, there was provision for that: “If he brings a lamb as his sin offering, he shall bring a female without blemish.” Again, it was to be a female. According to Leviticus 12, if the person was very poor, they could bring either two pigeons or two turtle doves; one for a burnt offering and one for a sin offering. This animal was of lesser value that all the others mentioned above, though the same procedures for the other offerings were exactly the same. Wow! Can’t afford two birds, borrow some flour from your neighbor. No oil (the Holy Spirit) or frankincense (Jesus in His priestly role) are added to it. 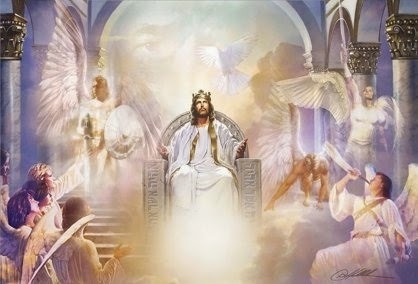 This depicts Jesus Who is the Bread of Life. As long as you brought to God something that reminded Him of His Son, He would accept it from you and forgive you of your sins. Isn’t God good? No matter what sin you have committed or what your position in the body of Christ, whether a pastor, a leader or a common person, the same Jesus is effectual for all their sins. God wants everyone to be forgiven of all their sins! Thank you, Jesus, for taking our place on the cross! We are forever grateful to You, our Sin Offering!